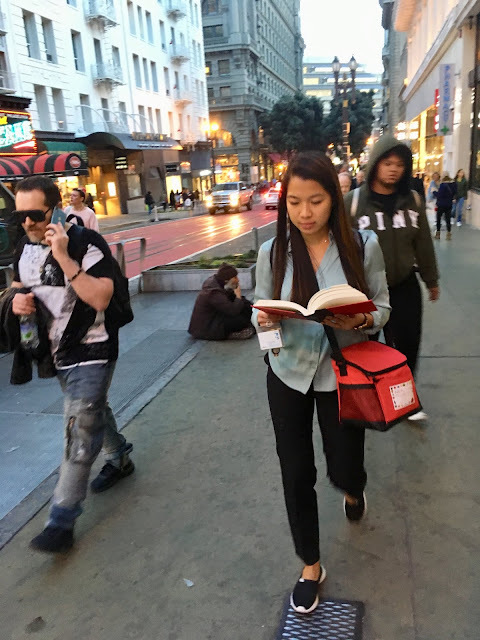 Near Union Square, walking while reading. Some people have mad skills like that. She is reading Bad Blood: Secrets and Lies in a Silicon Valley Startup, by John Carreyrou. 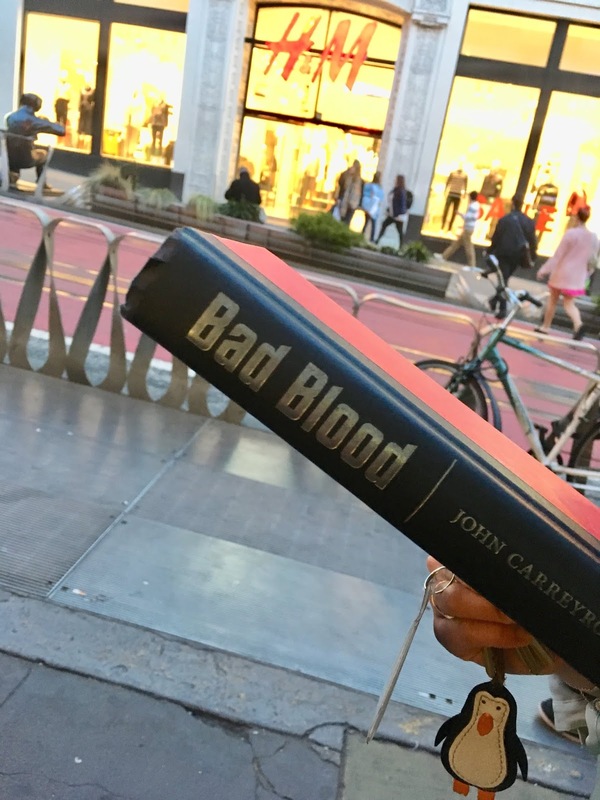 She said the book is about Elizabeth Holmes, founder and C.E.O. of Theranos, a medical technology company. A movie is being made about it staring Jennifer Lawrence. Her favorite books are The Da Vinci Code, by Dan Brown and The Goldfinch, by Donna Tartt, both related to art. Her minor in college was Art History.